Need more Power in your Clay home or office? You can't see what's behind the walls, but if your wiring is outdated, you may notice sporadic light flickering, power fluctuations, or circuit breakers that trip when you use more than one appliance. JP's Best Electric can install a brand new panel that boosts your service, adds more breakers, and increases the number of circuits you have in your home or office. Call (315) 465-0395 to schedule an inspection and free quote. 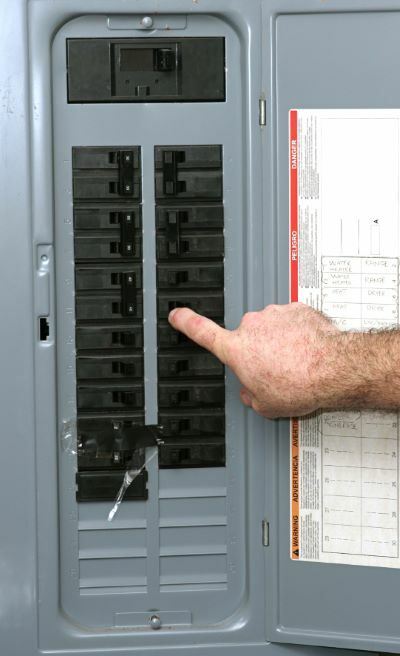 JP's Best Electric will upgrade your electrical panel safely and properly. Electrical wiring and upgrades should always be done by a licensed electrician to ensure that all work is done in compliance with Clay and New York building codes. Keep your family and Clay property safe by calling the licensed electricians at JP's Best Electric to handle the job: (315) 465-0395. A certified JP's Best Electric electrician will inspect the wiring and electrical panels in your Clay home or office to determine whether or not an upgrade is necessary. JP's Best Electric electricians are trained and certified to remove outdated panels and install NEC compliant panels that give you increased power capacity.